ECONOMYNEXT – Most new spending proposals in Sri Lanka’s 2018 government budget are behind schedule in their implementation with only eight percent of promises progressing on track, the same rate as last year, a new study has found. The study, presented ahead of the government’s 2019 budget next month by the Verité Research think-tank, found that progress on 33 percent of proposals presented in last year’s budget are either broken, neglected or undisclosed. 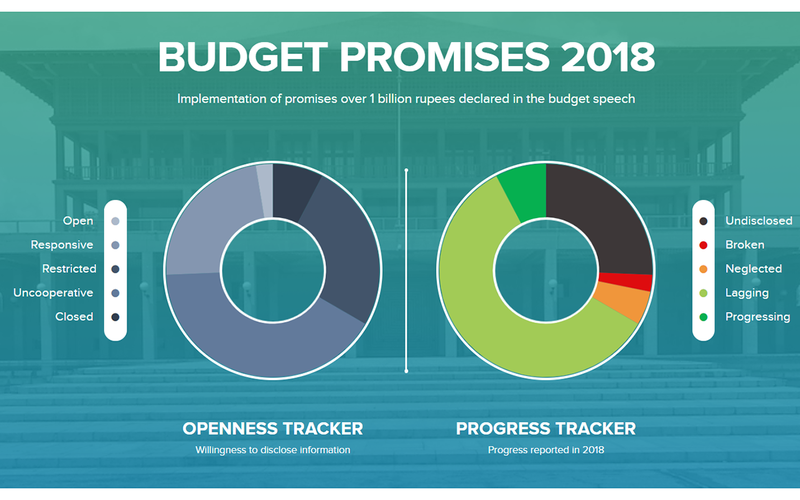 “We’re still doing really poorly in terms of progress,” Hasna Munas, an analyst at Verité Research, which tracked 38 budget promises amounting to 149,350 million rupees, which accounts for 82 percent of all new expenditure proposals in the 2018 budget speech. The four-month study tracked progress of budget promises – new spending allocations – of over a billion rupees in the first six months of 2018, she told a news conference. Subhashini Abeysinghe, research director of Verité Research, said the findings were presented ahead of next month’s government budget presentation to generate public interest in how their money is being spent.